Professor Kate Leslie is an anaesthetist, the winner of the 2014 Australian Medical Association Woman in Medicine Award and a leading researcher into awareness and dreaming experienced by patients under general anaesthesia. Morpheus is the Greek god of dreams and sleep, hence the title of the work. Like the dreams of sleep, anaesthetic dreams are fleeting and easily forgotten but give us an insight into the patient’s state of awareness during anaesthesia. Born in Melbourne in 1963, Mezei is the son of Hungarian refugees. His parents ran a leather goods workshop steeped in a culture of fine European tradition. That tradition is reflected in Andrew’s work; he grinds his own pigments and employs techniques from the Dutch Baroque period to create luminous paintings. Mezei has paintings in many prominent collections including the National Portrait Gallery in Canberra. 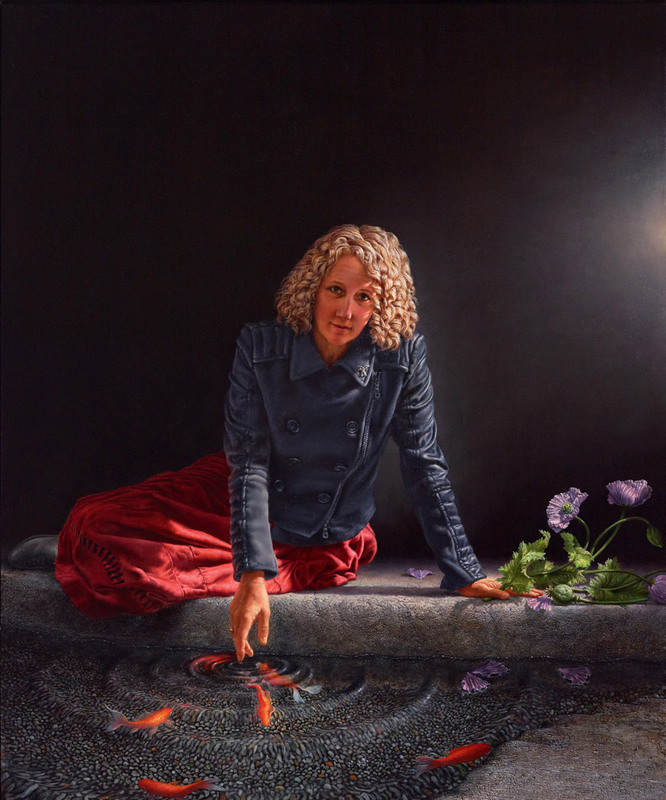 He was a finalist in the 2011 Archibald Prize.